Home News Like The Range Rover, The Tata Harrier Too Has A Fridge Inside Its Cabin! Like The Range Rover, The Tata Harrier Too Has A Fridge Inside Its Cabin! The Tata Harrier has not only borrows its chassis from Land Rover, it has also grabbed some features! In this fresh and new teaser, the flagship Tata has revealed its cooled storage armrest. And the only other SUV which we found has such a feature is the Range Rover Sport! We aren’t kidding. Check out the teaser below. Oh, the storage space also has a 12 V socket underneath the lid. Prior to this, the Harrier has been busy showing off its Terrain management dial which features three different choices. The dial will allow the driver to switch between what appears to be Road, Rain / Snow and Off-road modes. There’s a switch to turn traction control off and another one for hill descent control. 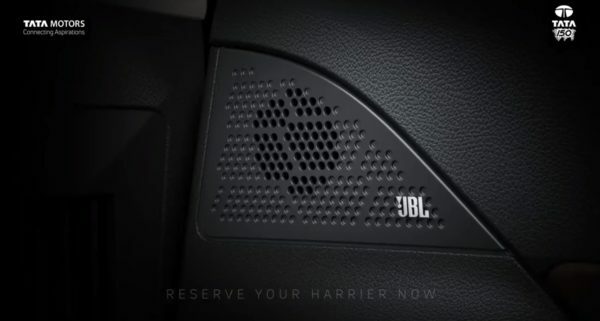 Other things which the Tata Harrier has been showing off are its JBL speakers, a silhouette of the dashboard, and its premium cabin. Those striking looks are no longer a secret either. To be launched early next year, the flagship Tata has been the talking point among enthusiasts for its striking looks and how the appearance has managed to stay honest to the concept which was displayed at the Auto Expo 2018. To be powered by a Fiat-sourced 2.0-litre Multijet engine, Tata has tuned it to suit the Harrier’s performance characteristics and calls it the ‘Kryotec’. It will pump out approximately 140 HP, 300 Nm, and come mated to a manual gearbox initially. A seven-seater variant is on the cards too and should come out in time for a reveal at the Auto Expo 2020. This particular variant could also get a different name, a Hyundai sourced 6-speed automatic gearbox, four-wheel drive and more premium features. 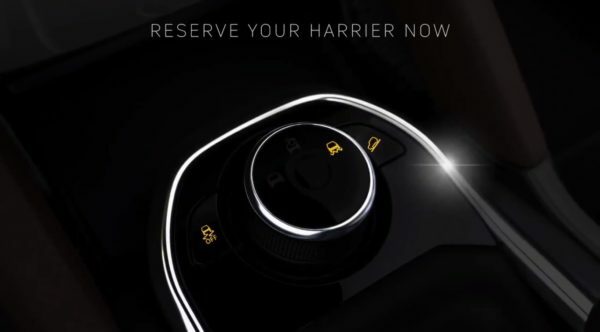 Bookings are now open for the 5-seater Harrrier and for being a Tata, it is expected to be priced to surprise. We’ll bring you more details about the car as and when they arrive. Until then, stay tuned!